The Perfect Tailored Solution For Short Term Outdoor Storage. Stormshield is a lightweight cover designed for short-term use. The cover folds down into a small bag so you’re able to take it with you on trips out and stow it in the boot when you drive away. 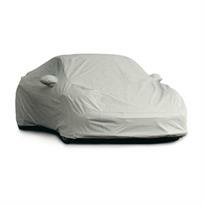 If it’s short term cover, tailored to your car that you’re after then this is the right cover for you.